You remember the story of the three little pigs and the big, bad wolf. The first pig made a house of straw, and the wolf blew it down. The second pig made a house of sticks, and the wolf blew it down. The third pig, well, he had a strong foundation in place with a house of bricks. And the wolf simply couldn’t blow it down. 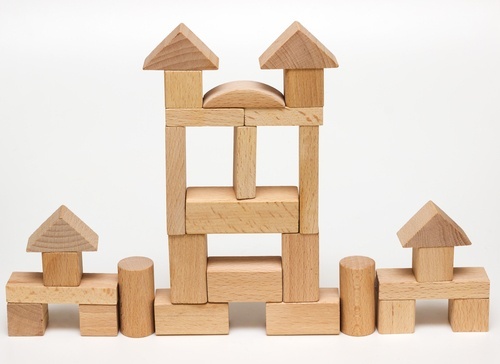 Having a firm inbound marketing foundation is like having a house of bricks. The foundation is strong, sound – and not easily annihilated by a windbag wolf. Three components go into building this foundation, and all three must be used together to best ensure inbound marketing success. Strategy by itself is like the house of straw. While it’s a basic necessity to keep you warm and dry, it won’t do you much good unless you strengthen it by actually taking action. Content Management System (CMS): Empowers you to market your products and services, build your brand and publish a steady stream of content. Marketing Automation: Gives you a streamlined way to nurture leads and guide them down the sales funnel. Customer Relationship Management (CRM): Strengthens relationships and keeps current customers coming back for more. Blog: Helps drive traffic, establish thought leadership and define your online persona. Analytical Tool: Collect data for your review and evaluation. Social Media Platforms: Let you listen and engage with customers, critics and fans. Combine strategy with systems and you’re up to a house of sticks. While your humble abode is certainly much stronger than the house of straw, it’s still not fortified enough to stand on its own for very long. A first-rate team of experienced, inbound marketing gurus is the support you need for your overall plan to rev into full gear. Here you can opt to build a team internally, hire an inbound marketing agency, or mix and mingle a little of both. Whatever approach you choose, just make sure your team is well-equipped to work your systems, implement your strategy and otherwise move you toward success. Combine strategy, systems and support, and now you’re talking house of bricks. You’ll have all the components you need to build that firm, supportive foundation that stands up to anything – even the big, bad wolf.